The three day search for a Dublin man suspected in the shooting death of a Danville resident has ended with the suspect found dead in an Illinois suburb. Detectives from the Danville Police Department and the Contra Costa County Office of the Sheriff this afternoon received notification from the Kane County Sheriff’s Office in Illinois that 51-year old Mark Allan Sypien was found dead after apparently killing himself near his parents’ home in St Charles, Illinois. Sypien was being sought in connection with the killing of Danville resident John Moore. 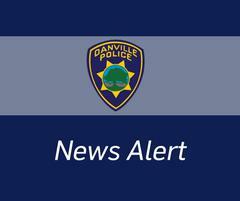 The shooting occurred Sunday, February 24, 2019, at about 2:25 p.m. Danville officers were dispatched to the 3400 block of Fostoria Way for a report of gunshots. Officers arrived finding Moore suffering from gunshot wounds. He was pronounced deceased at the scene. Investigators identified Sypien as the suspect in the killing, and an arrest warrant for murder was issued. Detectives continue to work with their counterparts in Illinois on the case. Anyone with any information on this case is asked to contact the Contra Costa Sheriff’s Office Investigation Division at (925) 313-2600. For any tips, call 866-846-3592 to leave an anonymous voice message or email: tips@so.cccounty.us.